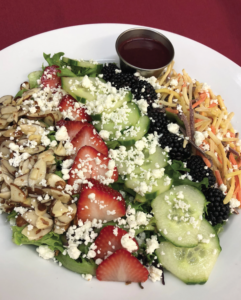 A Sandpoint summer could never be complete without a meal or two overlooking Lake Pend Oreille. Fortunately, the lake boasts a diverse selection of dining options for all palates and preferences, each with its own unique view of the water. Get started soon, and you’ll be able to check them all off of your summer bucket list! This week’s part one features The Floating Restaurant, Beet & Basil, Ivano’s Del Lago and Forty-One South. Check back in next week’s paper for Part two with more lakeside dining options. Hours: Mon. — Sat. 11:30-9 p.m.
As the name suggests, the Floating Restaurant takes eating on the lake to another level. Set against the beauty of the Hope Marina, ‘the Floater’ offers bites for the whole family, plus delectable desserts. It’s a dining experience unlike any other. One Dish:Fresh halibut cheeks with wild morel mushrooms. “And of course, topping that off with homemade huckleberry pie just screams Idaho summer,” manager Elissa Robbins added. Hours: Tues. — Thurs. 11-9 p.m.
Fri. 11-10 p.m. / Sat. 11-9 p.m.
Beet & Basil’s menu takes you on a tour of the world from the comfort of your seat (which, by the way, has a stunning view of Sand Creek). 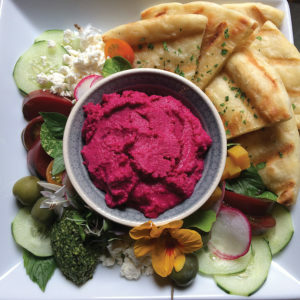 Self-described as “street food with an international flair”, crafted with all-natural, organic ingredients, Beet & Basil is the perfect place to fall in love with new flavors. One Dish: Beet hummus platter with cucumbers, feta, heirloom tomatoes, castelvetrano olives,pesto, fresh basil, and buttery garlic naan. Hours: Mon. — Sun. 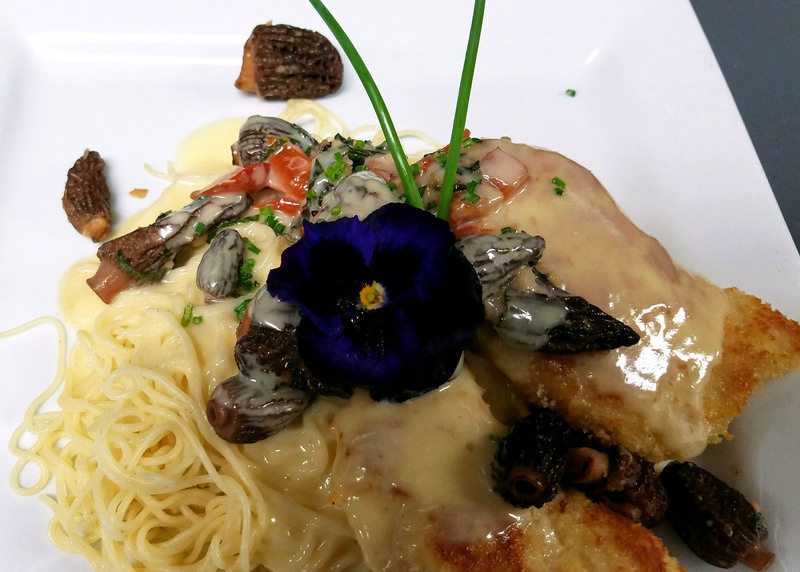 11-9 p.m.
Nestled in the Beyond Hope Resort on the beautiful Hope peninsula, Ivano’s del Lago brings the fine dining experience of Ivano’s Ristorante to the lake. 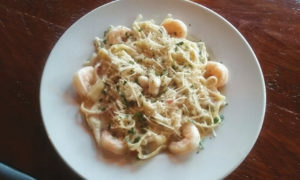 Boasting a wide array of seafood and handcrafted Italian fare, Ivano’s is a perfect place to soak up a beautiful sunset. Be sure to try their signature huckleberry cocktails, too. 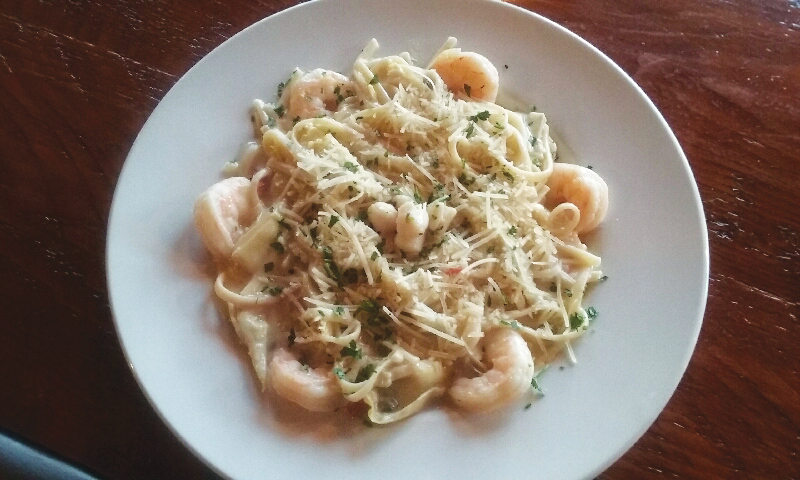 One Dish: Linguine di mare, featuring prawns, sea scallops, artichoke hearts, and capers cooked in a white wine, butter, and garlic sauce over linguini and sprinkled with parmesan. Can be made with gluten-free rice noodles. Hours: Mon. — Thurs. 4:30-9 p.m. Fri.— Sat. 4:30 p.m.-10 p.m. Sunday 4:30-9 p.m.
With outstanding views and exceptional ambiance, Forty-One South is the lakeside dining experience of your dreams. Frequent live music and innovative cuisine ensure an exciting and enjoyable dining experience — every time. 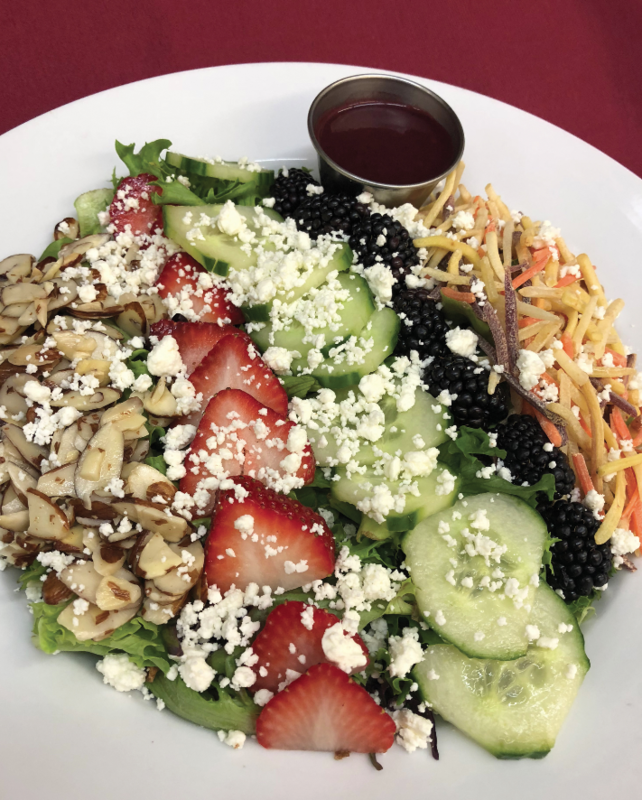 One Dish: Sunset salad, with mixed greens (local and organic from Moose Meadow Farms), almonds, seasonal fruit, cucumbers, carrots and feta with a spicy berry vinaigrette.